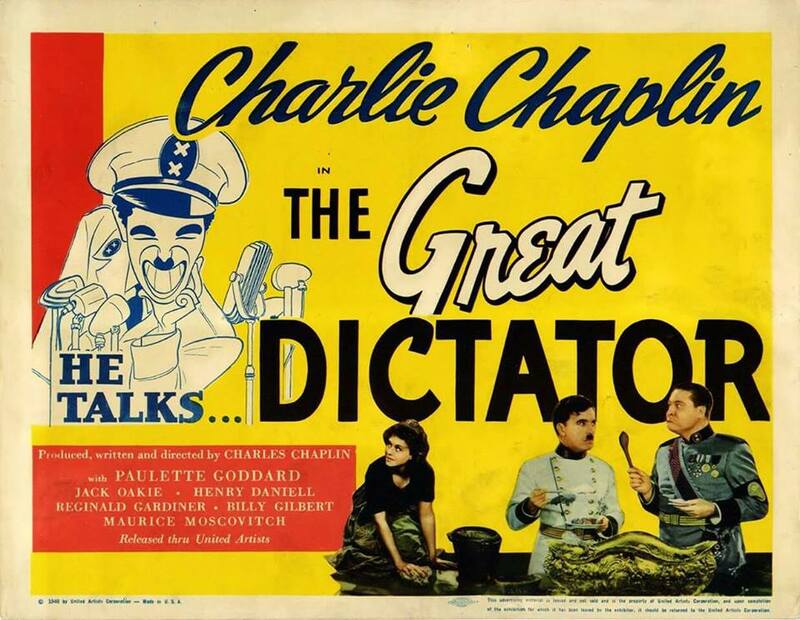 Charlie Chaplin’s brilliant and courageous challenge to tyranny, The Great Dictator (1940), remains sharply relevant today. I will be introducing this classic film at the beautiful Alex Theater in Glendale on Thursday, April 19, 2018, and signing copies of my Chaplin book Silent Traces. David Totheroh, grandson of Chaplin’s long-time cameraman Rollie Totheroh, will also be on hand for a Q&A after the screening. The refugees cross Trifuno Creek near Peter Strauss Ranch – discovery and photo by Jeff Castel De Oro. Looking north at the Chaplin Studio backlot. My intro will address highlights of Chaplin’s career, details of the film’s remarkable history and production, and several then and now locations, some unchanged after nearly 80 years. 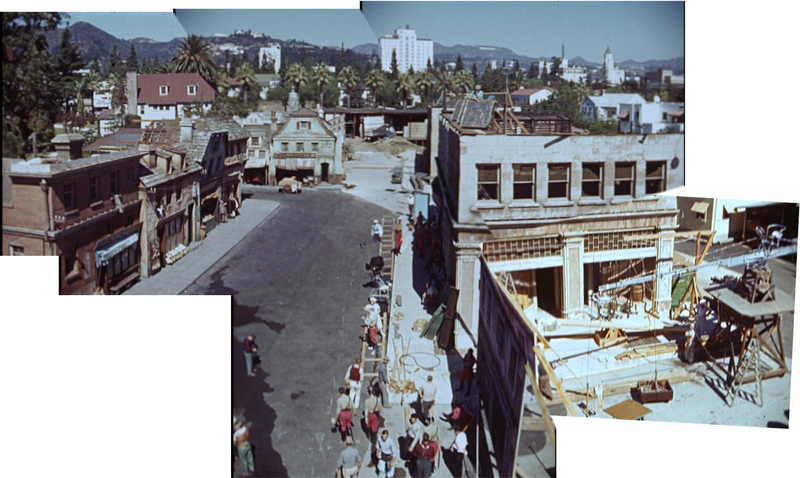 To the right is a composite image of Chaplin’s backlot, from 16mm home movie footage taken by Charlie’s half-brother Sydney. Intact globe found by the Russians in Hitler’s ruined office. 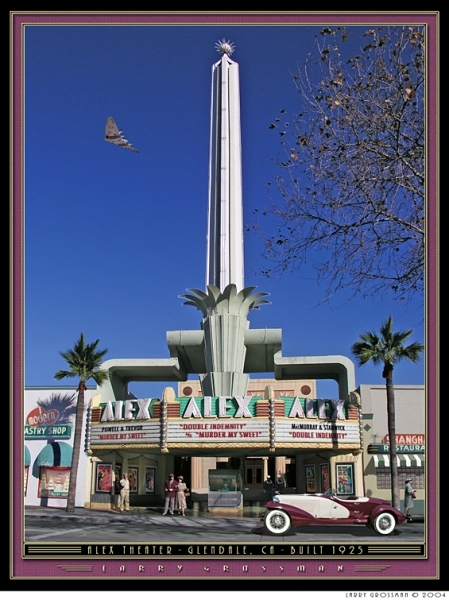 The screening is hosted by the Alex Film Society, which presents programs of classic feature films, cartoons, newsreels, and short subjects at the theater. If you live in the Los Angeles area, I hope you’ll consider supporting the Alex Film Society by attending my talk and book-signing at the Alex Theater on Thursday, April 19. All images from Chaplin films made from 1918 onwards, copyright © Roy Export Company Establishment. CHARLES CHAPLIN, CHAPLIN, and the LITTLE TRAMP, photographs from and the names of Mr. Chaplin’s films are trademarks and/or service marks of Bubbles Incorporated SA and/or Roy Export Company Establishment. Used with permission. Big Bertha cannon photo the Totheroh Family Collection, courtesy of Frank Underwood. This entry was posted in Charlie Chaplin and tagged Chaplin Locations, Chaplin Studio, Chaplin Tour, Charlie Chaplin, Hollywood, Silent Comedians, The Great Dictator, then and now. Bookmark the permalink. That would certainly be lovely to see! I’ve never been able to see a Chaplin film in Theater, but have always wanted. Thanks for sharing! Thanks Christina – I’ve never seen it before in a theater either. There’s always something extra to the experience when watching Chaplin with a crowd. Best wishes for the talk and the screening tomorrow. If I were in the area, I would definitely attend. I suspect you’ll introduce several folks to the magic that is Charlie Chaplin. I have a Chaplin related question. In Lloyd’s “Movie Crazy”, I noticed interesting footage showing the former United Artists Studios on Santa Monica Blvd., and employees at the studio’s former 2 main(?) arched entrances with the original United Artists emblem above. Do you have any idea when these original doorways fell out of use/were closed off, as today they appear to have been stuccoed over some time back? Hi Polly Anna – yes, as I report in my book Silent Visions, Lloyd filmed Movie Crazy all over the studio. I don’t know when they closed off that entrance on SM Blvd. Some new documentary footage of Lloyd making Movie Crazy shows that the scene in the rain with the car and the girl was filmed at the corner of Romaine and Las Palmas, the corner of Lloyd’s Hollywood studio.